This console is being offered for sale under our LISTING scheme. Serious enquiries will be referred to the seller so the customer can negotiate directly with the person selling the console. If this console is of interest to you please contact me and I will put you in touch with the owner. 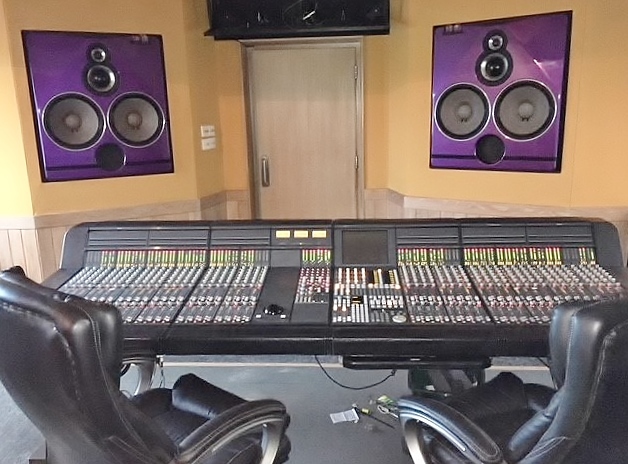 The 112 input Euphonix CS3000 is an assignable console i.e. it is an analogue console with digital control, this means that the audio signal remains in the analogue domain, no A/D or D/A conversion, however the controls are digital, every function on the desk is automated and can be stored and recalled at the touch of a button, just like a digital console but with superior analogue sound. The system comprises the work surface ( desk ) Towers ( audio electronics ), patchbay, 5 x 8 sets of ES-108 Dynamics in the Cube rack, expandable. plus interconnecting cables. Each channel has 6 inputs (2 mic inputs and 4 line inputs). There are 2 EQs per channel. Each ES-108 module has 8 channels of dynamic processing that integrate into the Euphonix mixing environment. Another advantage : Because the signal does not go through the console you never get any noisy pots or faders and no clicks on switches - ever. Recently serviced by Euphonix specialist.